At some point, I have been a frequent visitor of the mystic island of fire, Siquijor province. And those visits to this central Visayas province have introduced me to the unique Siquijodnon cuisine. Seafood is abundant in the area and they have lots of local seafood dishes. 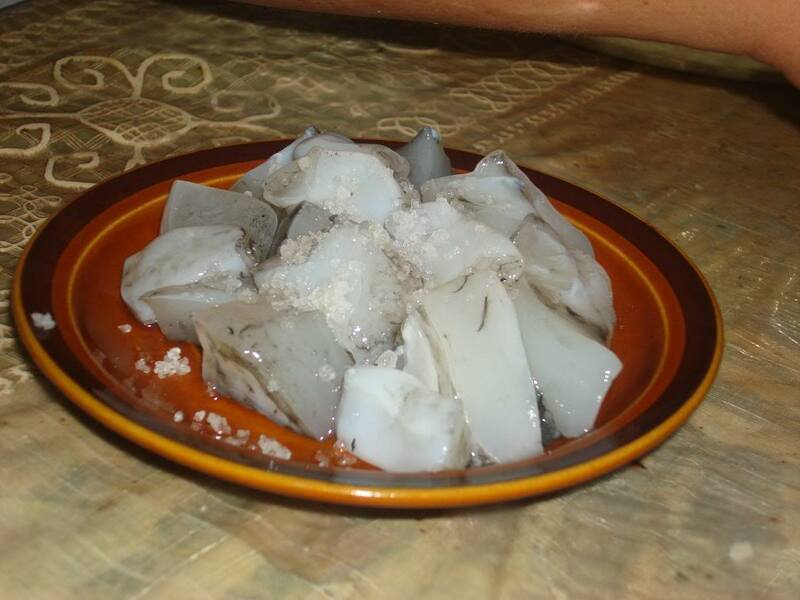 Spider conch shells or saang is a popular seafood item in Siquijor. The popular way of cooking it is to boil it in seawater, a recipe they call saang sa alat. Binas-oy is a pork stew with slices of chayote and seasoned with ginger and garlic. Some versions include pork liver as ingredient. 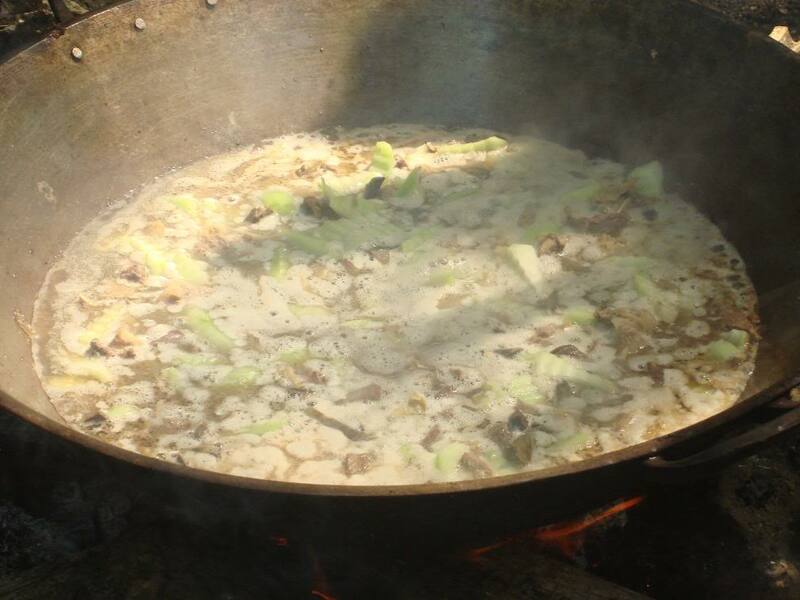 One of my favorite foods in Siquijor is the kinilaw Binisaya nga kulabutan, a type of giant squid. Eaten raw with vinegar and salt, I could really taste its freshness. 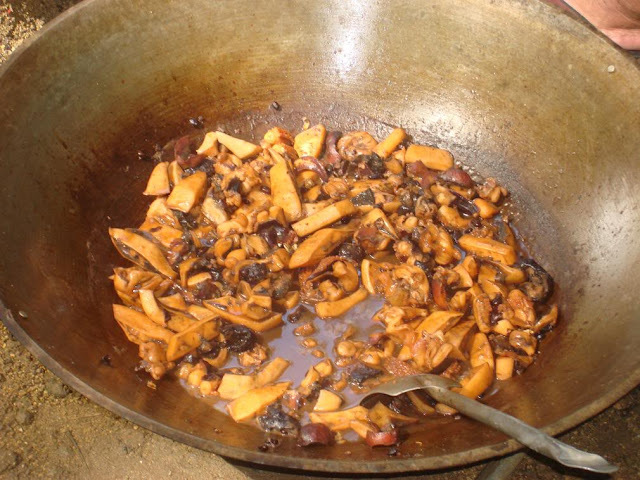 Another way to cook kulabutan is to saute it (ginisang kulabutan). Sangkutsa is chicken cooked in coconut cream. Much like ginataang manok but with a lot less green vegetables. A humble baking shack in Enrique Villanueva town prides itself of its Pan Bisaya, bread with a filling of bucayo. In other parts of the Philippines, this is called pan de coco. The name of the establishment that sell this bread is called Lilybeth's Pan Bisaya. The place looks like a simple hut with the slightest hint of being a commercial place so it's really easy to miss. 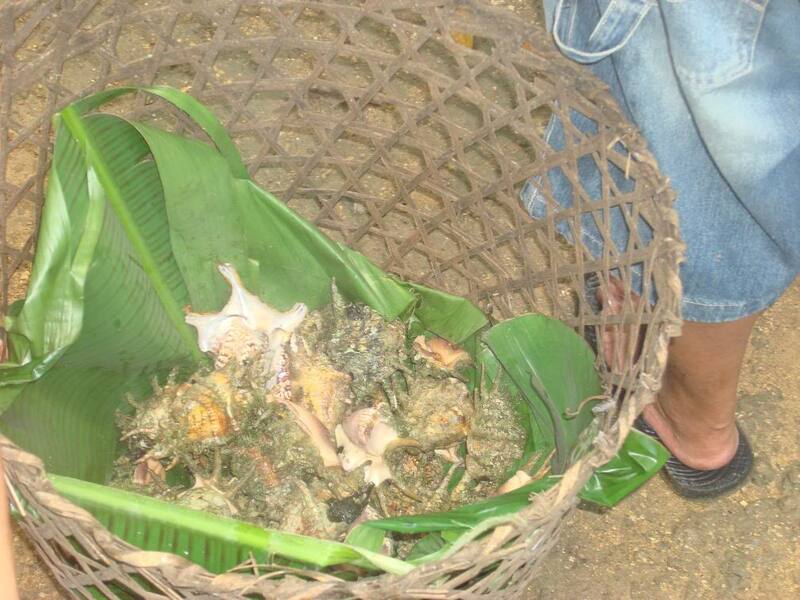 Fresh sea urchins abound in Siquijor. And they are much bigger than the ones popularly eaten in Lilo-an, Cebu. 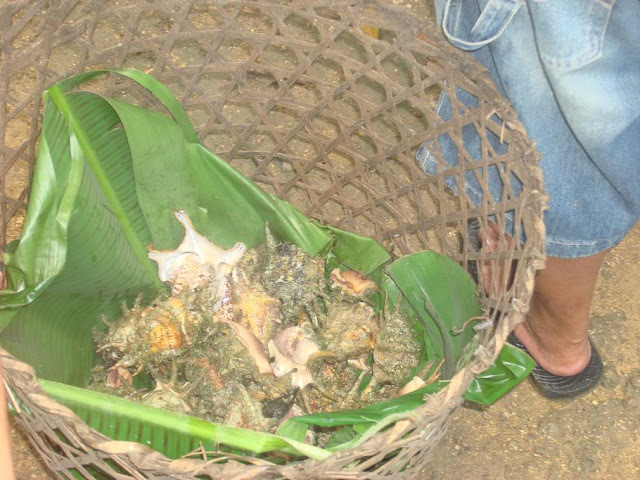 Some Siquijodnons even eat this raw right by the beaches where it can be found in abundance such as the beach in Siquijor town's barangay Canal. Lomboy wine is made from the black plum fruit. 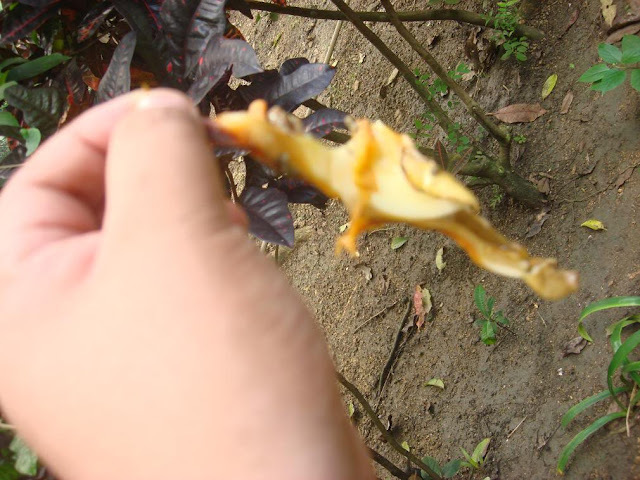 Lomboy is the Cebuano term for the fruit while the Tagalogs call it duhat. Lomboy wine has that curious taste blending sweetness, bitterness, and aplod (astringent) taste. One time at a party, I also came across a thick soup dish with budyong or the meat of a helmet shell. I decided not to eat it when I learned that it was an endangered species and was illegal to harvest, sell, cook, and definitely eat it. perfekt replika Ray-Ban, der kombinerer elegant stil og banebrydende watchmaking teknologi, en række stilarter af perfekte Replik Ray-Ban, går pegeren mellem din eksklusive smagstil.